I spent several weeks fighting an ear/throat infection, it’s not gone yet so I am still doing my best to recover and hoping I will soon feel better! Being sick and enduring a very high stubburn fever is always a good excuse to splurge… it’s the only good thing that came out of it 😀 I had to pause my current ongoing reviews until I have some more energy but today I can at least post about something new and fresh! 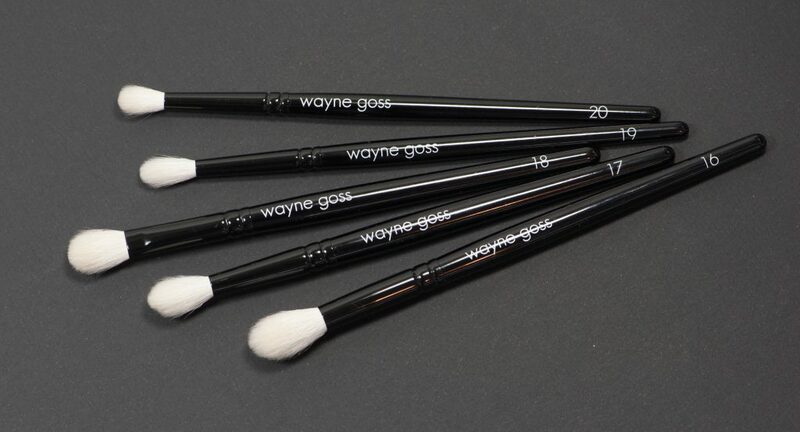 Wayne Goss has just revamped his previous eye set, I have been using it during the last month hoping I could share something with you before, but better late than never… First, I want to mention that this set has been sent to me for my consideration by Beautylish (thank you! ), and since Wayne has become a friend, this is a tricky situation… If you are not comfortable with this situation I will link at the end of the post some other great reviews that you can also check out, but I still have to tell you that my thoughts are honest, the good and the bad ones! 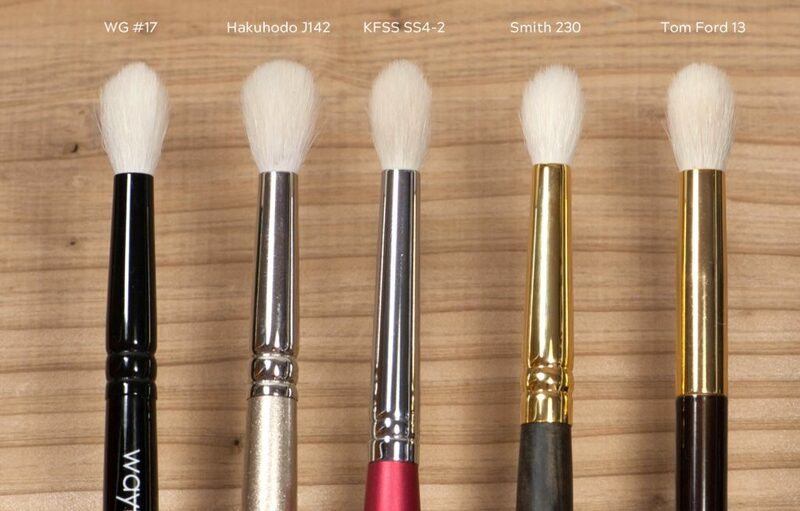 This 5 brush set became available a few weeks ago on Beautylish website, the brushes look quite similar to each other, this can appear boring and disappointing at first but I will dive into each brush in detail. It costs 130$, it is available on this link and in general Beautylish offers free shipping after a certain amount, for Switzerland it is free shipping on all orders above 100$. When the parcel arrives it is already calculated with Swiss taxes so I have nothing additional to pay. I can’t say precisely how it happens for other destinations. The brushes are available as a set today but will be available individually in the near future, if you get the whole set, you receive them in the cylinder cardboard packaging with the blue label like shown in the picture above. This new eye set replaces his previous eye set. The brush numbers remain the same but the shape and bristles change… I love goat brushes a lot, specially when they are dyed brown and very soft, I wish these new brushes were an addition to his current collection and not a replacement, at least for some of them because I will dearly miss them. 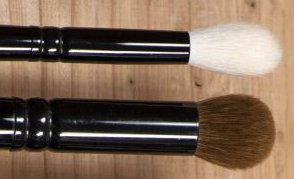 It’s difficult to compare the two sets brush by brush, because they are totally different brushes, offering a different functionality and a different result. In his current “Collection” you can find similar brushes made with grey squirrel bristles, it’s good to know in case you love the shapes, but you prefer grey squirrel to goat. Wayne loves crease brushes A HUGE LOT so I am not surprised to see this little army of crease brushes emerging in his collection, crease and candle shaped brushes are obviously his fav pattern. 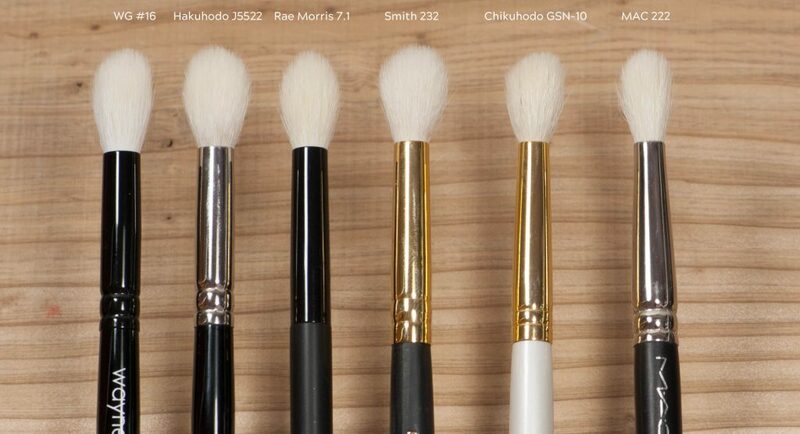 It’s a large tapered brush that can be used for several purposes, application all over the lid, setting concealer with powder, blending, contouring, highlighting and if you use creams, all of these white saikodo brushes can also be used with creams or liquids. The strength of this brush is in its ability to blend as you go, there are no harsh edges to the application, thus anyone from any level of make-up proficiency can truly enjoy how effortless it is. The same applies to all the brushes of the set since all have a similar airy tapered surface to work with. This saves time because the less harsh the application the less blending you’ll need, on the other hand, this also means that if you are going for detailed or very heavy placement, obviously it will not be what they are best at. This 16 brush is the one I use at the very beginning of my eye shadow application, I use it to apply a base color all over the lid, sometimes I apply only transparent setting powder on top of the eyeshadow base. It’s also the one I use at the very end of the application, to blend and smooth the whole application where necessary. Actually, I am obsessed with blending brushes, maybe because they are often denser and more evenly shaped and that is quite satisfying, not only to feel on the skin but also to look at! Both the previous and the new #16 are made with saikoho goat bristles, but the bristles on the previous were dyed brown. In my experience, the dye gives the bristles additional grip and grip without roughness is a true benefit. 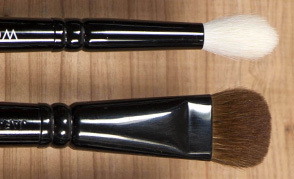 Both brushes can be considered as powerful blenders, in this case the previous #16 is clearly a completely different shape and a much denser brush, with the new #16 we gain precision and also versatility which is a plus. The new 16 allows a more gradual building of color and as a blender, it works more gently and does not alter the underneath application, the new 16 should suit a much wider audience for all those reasons. The least I can say is that I have a lot of crease brushes, if you have been in the beauty/brush world for a long time then it may also be the case for you, crease brushes are key brushes and we tend to have a large variety of them.. At this point, I don’t purchase crease brushes because I need more, I purchase them because I want to add them in my comparison pics or for reviews, sometimes I hear very good things about some brands so I am really curious to try, that happened with the Smith brushes, I was curious to see all the fuss around them. I love when a crease brush is firm and dense but still airy enough to allow gradual control, I don’t want a crease brush to stamp a color onto the crease, I prefer to build the color gradually rather than having to blend away the excess. The ones that I enjoy using the most are the new WG, the Hakuhodo J5522 and the Rae Morris 7.1, they are very similar, very pleasant to use. The Rae Morris is also soft but more tightly packed, more appropriate for creams that require more discipline since it’s more directional and firm, thus more poweful and precise. The Smith 232 and the Chikuhodo GSN 10 aren’t soft enough for my sensitive skin and compared to the perfection of the Wayne Goss these two are far behind. The MAC 222 is a fantastic brush, it’s still going strong after so many years, remains nicely tapered and directional, much more directional than the WG 16. The MAC and the Smith brushes for example have thicker, more durable bristles, in theory, they should last and endure more heavy usage and I believe that’s true. 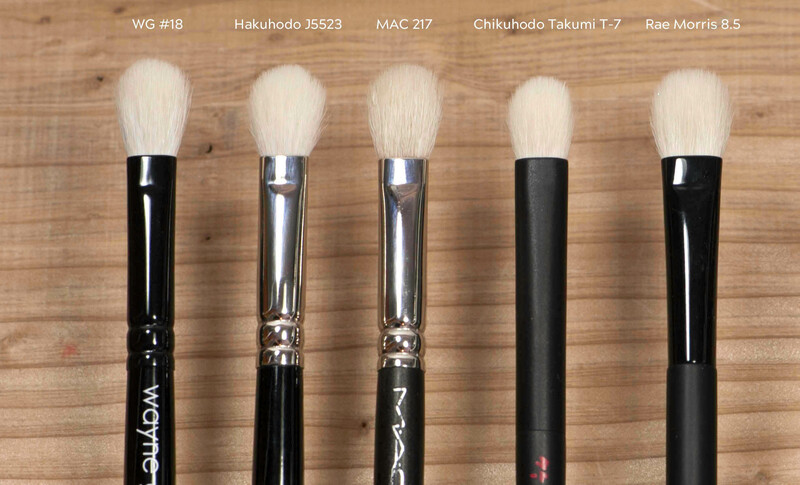 However, I have been using soft brushes like the Hakuhodo J series which are most of them high grade soft saikoho goat and after several years they still look really very good, so, as long as you take care of them it should make them last a really long time. This 17 is the brush I use to apply the transition color on the crease, the size is perfect for that, it keeps the main color in the crease and diffuses the edges very softly, really no added work to blend, then I will go with the WG 19 to deepen the crease with a darker color. I switch brushes because I have to justify using them all 🙂 but honestly, you can apply the transition color and deepen with the same #17, it will just be in the outer corner of the crease that depending on the look you may not have enough control and precision with it, but this brush stays tapered and pointy and its size is also what makes it a nice versatile 4×4. 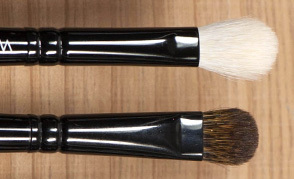 It not the same brush at all, I used the previous 17 to place a base color all over the lid but I prefer his new 16 for that because of how the edges of the application are diffused automatically, however if I use the new 16 sometimes it takes more time to reach more coverage. 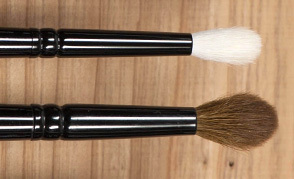 Totally different brushes but depending on what functionality we are looking for, it may actually very well replace it. The Hakuhodo J142 is similar in size but mine is not as pointy as the WG. Similar softness and density too. With time and repeated washes this kind of brushes tend to splay out so we’ll see how the WG will end up, for now they have been washed already 5 times but no change. The Kumano Fude Select Shop SS4-2 is a gorgeous crease brush, ferrule and hair length are the same but the WG feels just slightly softer, not much, but I can feel it when I use both side by side. The Smith 230 is a wild boy, I love the shape and the firmness but again, those goat bristles hurt my skin, I don’t mind using it on someone else if that person tells me she is totally ok with its softness because the results are very good, on myself I won’t as it really pokes too hard. The Tom Ford 13 is excellent, I read someone complaining it wasn’t soft but mine is, it’s dense and very powerful for working with stubborn products and blending, it also stays directional after so long having it so I am really pleased with it. Compared to the WG it’s not as soft but I love how the TF feels dense and strong at the surface and how it remains nicely precise. The TF has a wider ferrule (+1mm) and more hair, it does offer more precision than the WG because the surface stays firm when using it. The main difference is that the WG is more effortless because of the blurred edges and the softer and more gradual application. Then, if you want more control and precision you’ll have to downgrade WG size and pick the new WG #19. 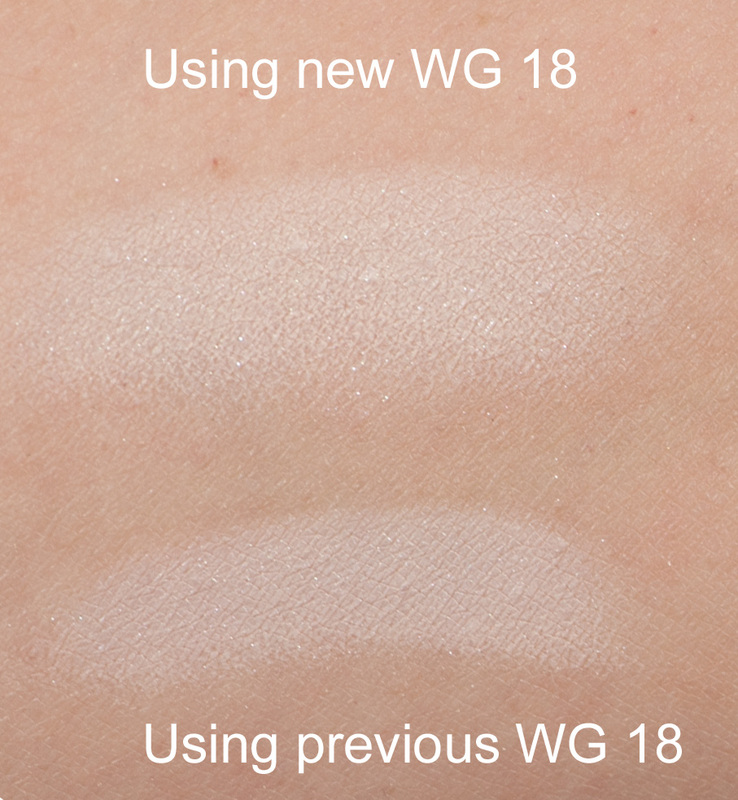 It’s a very well known shape, it’s the dupe for Mac 217 if you want a softer option, you absolutely need the WG 18. If you follow me on Instagram, you may remember that I recently posted some pics about Make Up Atelier eyeshadow palettes, they have a special texture somehow chalky, quite difficult to work with but then when applied they kinda “set”, they are really nice and some palettes have become musts. There is just one issue with the application of some of their shadows, they start of so chalky and uneven and the application or blending can be a pain. I tried this WG 18 brush with the white chalkier shadows and it completely changes the game, the result is just perfect! I lose some precision but the application is really even and perfect in terms of intensity. I also love the previous WG 18, I reach more intensity faster with the old one and it allows more precision compared to the new, now it became less precise but definitely more multipurpose as it can be used as blender and crease brush too. The Hakuhodo J5523 is the most similar, size wise it’s similar, just the bristles are ~1mm shorter on mine, in this particular case the Hakuhodo feels a bit softer but the WG is also extremely soft and both are same high grade of goat hair, probably some batches may differ from time to time and even if it was exactly the same brand and brush, this difference is technically allowed when producing hand made brushes. My MAC brush is really old and I have several of them, all with slightly different shapes… not by much though. Mac is definitely not soft enough now because my skin has become so sensitive – that’s why I had started looking for other softer options – but at the time this Mac 217 was such a workhorse! The Chikuhodo Takumi T-7 is also made with Saikoho goat bristles, it is same softness as the new WG18 but as you see it’s much smaller and will not offer such a diffused application, however, you will be able to use the Takumi T-7 on the bottom lash line if you so desire… it’s not precise but it can work if you are not researching surgical precision. The Rae Morris you see below is the new 8.5 that Rae released very recently, I am preparing a review but struggling to find time to take pictures at the moment, I wanted to show it to you now because it’s the same idea, a larger flatish brush with crease and blending abilities, the Rae is soft although the bristles aren’t quite as fine as the WG, most could not tell a difference though. The Rae is firmer and stronger so if you want better control with creams or cream shadows the Rae will be more appropriate. That’s the other little crease soldier, small but big in terms of capabilities. 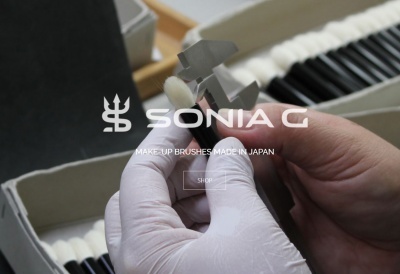 It’s difficult to find a little crease brush that is nicely evenly bundled, in order to be able to build the product with intensity most of the little crease brushes are firm and hurt. This is a perfect balance between softness and expectations, it’s definitely a must have. The previous 19 was bigger and more similar to his new 17, I am very sad that I won’t be able to replace my old 19 with the same old 19 but I am probably not the only one! The Hakuhodo J146 is just as soft and has same ferrule and same length but my Hakuhodo has splayed out quite a lot and is not as pointy, other than that, they offer similar results. The Mac 221 is an absolute dream, it’s quite dense and directional but still diffuses the application so softly and so fast! In comparison, the WG is softer and shorter than the Mac but I am still completely in love with the Mac. Yes the WG is technically better… but still need this Mac in my life. I can’t tell how the shape will continue after more washes but for now the WG stays nicely tight. I could use brush guards but I wash too many brushes at a time and if not really required I prefer to skip that step. The Smith 230 is here for size reference, it’s neither as soft as the WG nor as tapered, on top of that it pokes like hell on my skin, but again, in terms of results it’s really fantastic. This is another mini crease type of brush, tiny and follows same idea. Compared to the WG 19, it has the same ferrule but the bristles are 3mm shorter and with a flater surface, it delivers the same precision at the surface than with the WG19 but this WG 20 is firmer so you’ll reach more intensity in the layering. 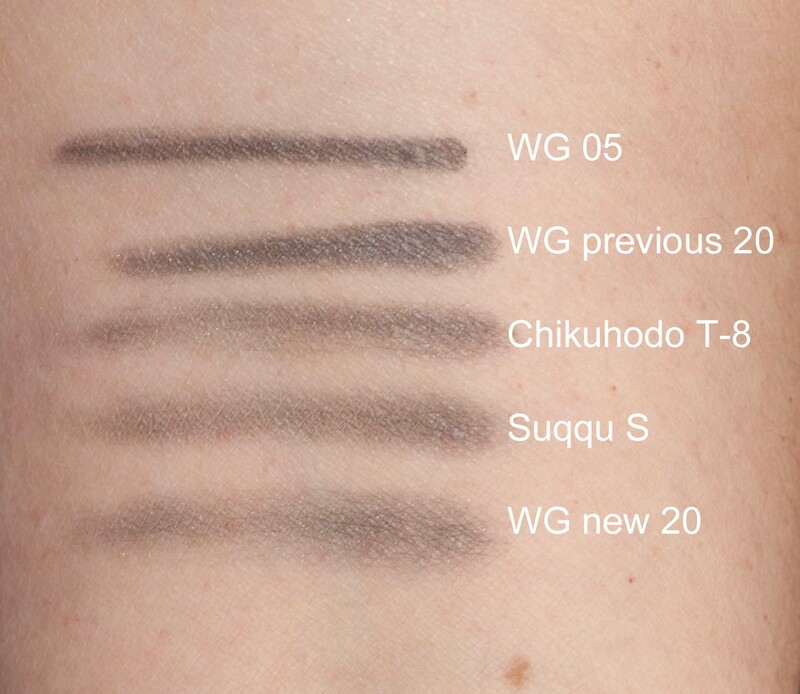 I can’t use the WG 20 on the botton lash line with a very dark shadow unless I am going for smokey panda drama but I can use it with a lighter shadow if just going for a sheerer blurred wash. The thickness of the “line” can reach 4 or 5mm and if I try to really go close to the bottom lashline, specially with a cream shadow, I end up poking my eyeball so it’s not worth the hassle. The previous WG 20 was a medium sized pencil, not the softest pencil on the planet but the application was easy and effortless. There is another smaller pencil available in his current collection (the number 05), so, having already the number 05 with his name on it may not justify a second one, and to be honest I prefer the additional softness and precision of the 05… anyway… this point precision placement is a functionality you will be lacking with this new eye set. 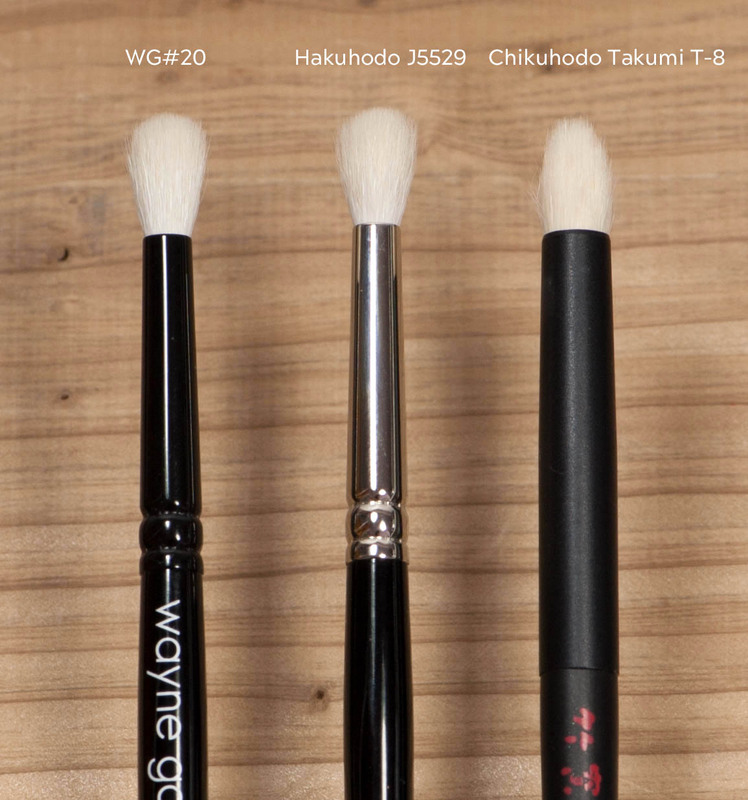 The Hakuhodo J5529 is the closest I own, the WG is very slightly longer, less than 1mm. I have the J5529 since the very beginning of their J series, have used it a lot for smokey looks. I first apply a darker shadow along the top lashline, then I use a shadow a bit lighter, then another one a bit lighter than the previous… a bit like a rainbow in fact, I just wipe the color on a towel in between each color, so easy and so beautiful. The Chikuhodo Takumi T-8 is exactly the same bristle length but shaped like a pencil, it allows more control, I can use that T-8 under the lashline but I still won’t get enough precision to keep the line clean and close to the lashline, if you wan’t the T-8 just for that it may not be the best candidate however it is a multipurpose pencil type of brush, fantastic for the outer v.
If you are planning on using cream shadows, the ones that stood out the most to me are the 18 and the 20. The 18 for all over and crease work, then the 20 for the outer v or to deepen the crease. I use stubborn cream shadows, the Dolce Gabbana Mono are my favs by far, with the Wayne Goss brushes I don’t achieve precision lining or opaque intensity but the application went on easily, sometimes I had to work and build up the coverage but on the plus side the edges were nicely blended out, looked really pro and natural. For powder, my top fav is the 16, then the 19 is the one that I will reach for the most, with my very hooded eyes this little brush is able to do wonders and keep the application within the allowed perimeter! The 17 and 18 are next in line, the only one that I don’t use that often is the 20 because basically the 19 can do most of the precision crease. What I do use the 20 for is highlighting the browbone or the lips or when I need some critical precision blending, this little one can target a smaller zone with much more strength and control. I am sad that they are all crease type brushes because they are not new to me, however they are better bundled and softer than many alternative options I own, for this reason I highly recommend them, specially if you wish to upgrade what you own or if they are new to you, this is one more good reason to get them. It’s a set that follows Wayne’s phylosophy about natural and effortless application, it will be an insane great experience to use them. If you want something that allows precision on the lashline you’ll have to get the 05 brush separately. Either way, whatever these brushes are designed to do, they do it really well. The set is available on Beautylish.com for 130$ and the brushes should be also available individually in the near future. 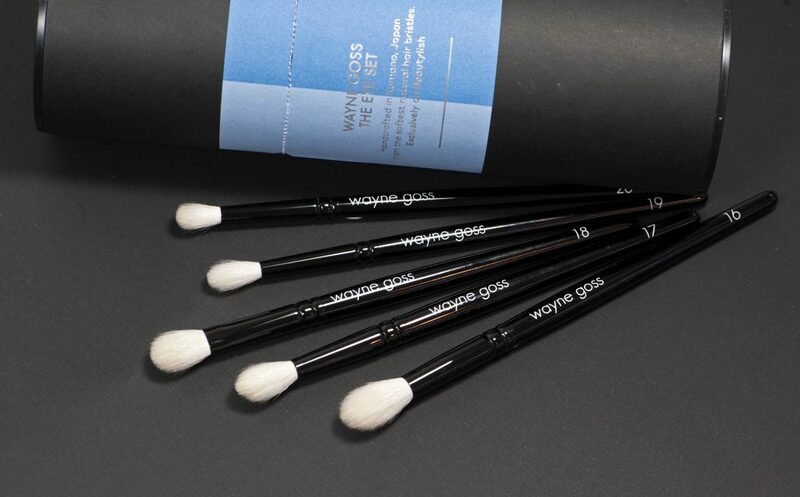 WAYNE GOSS New Eye Set was last modified: June 20th, 2017 by Sonia G.
Rae Morris brush set, finally ! Sonia, I am so disappointed that we get no longer get the previous brown goat hair versions. I found out about the revamp a little too late to stock up, and now I am so sad that I won’t be able to get a backup of my #11 and #19. 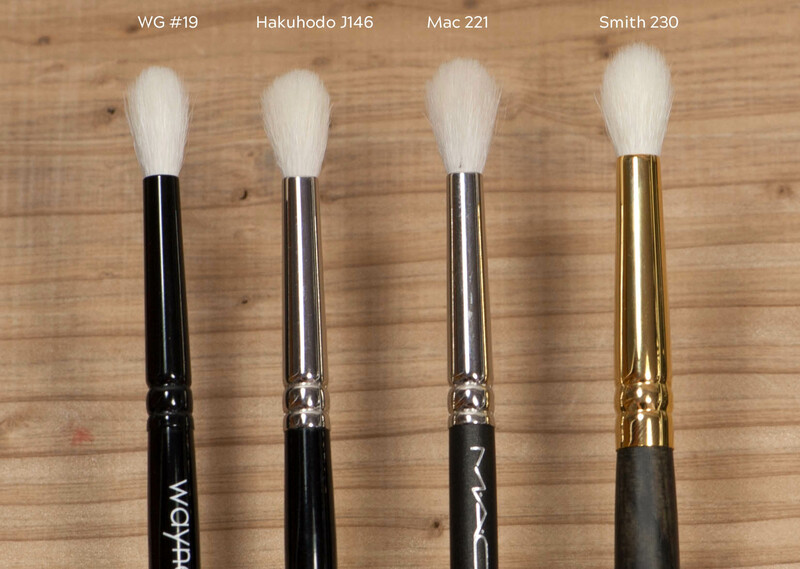 I have plenty of white goat brushes and absolutely hate using them because I can’t stand my brushes to look “dirty.” Do you know of any comparable options to the old #19 that is not white goat? 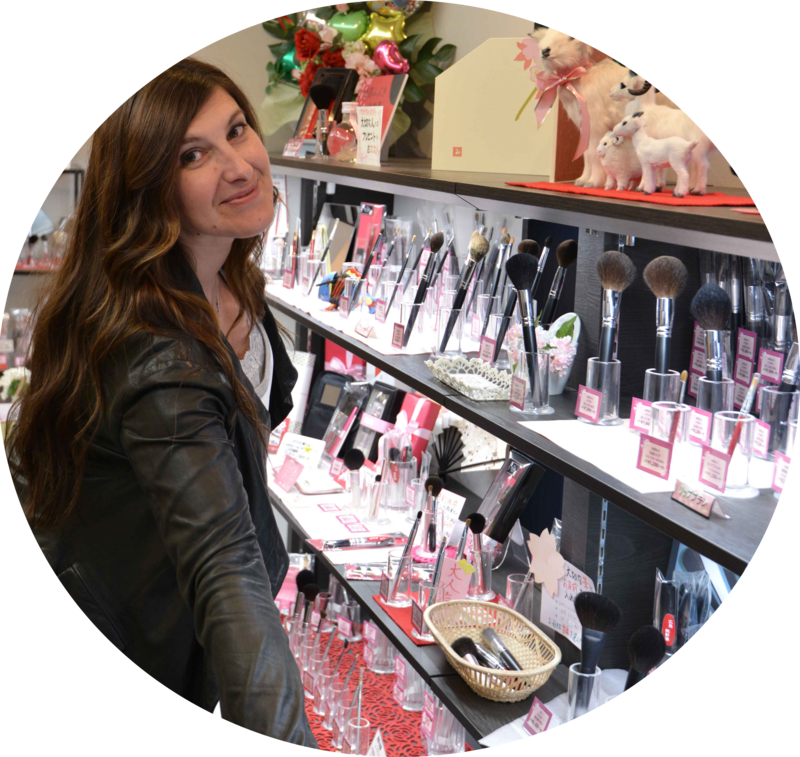 You are probably not the only one because those brushes were amazing! I don’t know of similar brushes to his 19 with brown goat, at least for the moment. Other brands like Jenny Patinkin have same material on some brushes but not same shape. Thank you my dear, I will <3 just a matter of time and I will be 100% again! I hope you are doing great!! I really don’t get it why he discontinued his (bestseller) brushes and wish he would adress the reasons to his fans and followers. If Hakuhodo don’t want to make him his dyed brushes anymore he could tell the world. Thank you for your review and get well soon! You are very welcome sweetie, my pleasure to share and hoping you are doing very well and getting ready for the summer! Love your website, great resource 🙂 It’s obvious how much thought and effort goes into your posts. I missed out on the Wayne Goss 19 and 15. Would debate buying it every now and again but never but the bullet and missed that they were being replaced. I was just wondering if you had any alternatives? I saw your previous review on the 19 but was curious if you had an updated replacement? I’m not too bothered about the hair. 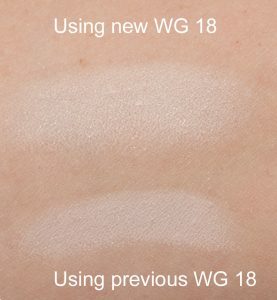 I also heard the new Wayne Goss 15 isn’t half as good in terms of highlighter application, do you find this to be the case? I’m debating whether to get the new one but if doesn’t apply highlighter as well I might give it a miss. Hi Sonia! This post was so incredibly helpful, thank you so much for taking the time to do these sorts of reviews. 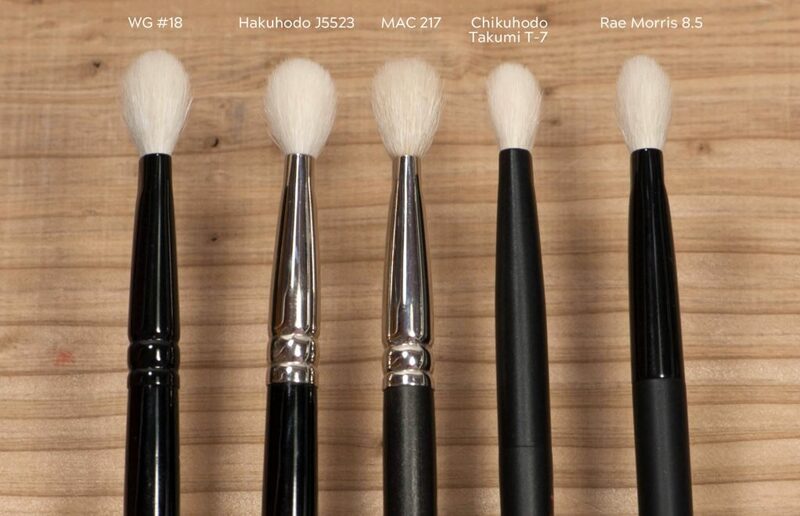 I’m wondering how the WG and Hakuhodo brushes compare to Volare? 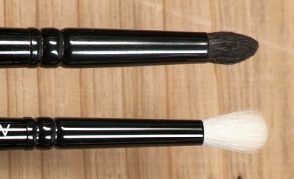 I’m not sure if you’ve ever reviewed Volare brushes before, but they’re supposedly really great for smaller eyes. I don’t know actually, I have heard of them but never tried them. They are made in Japan so I guess the quality must be there!